Dolly started performing when she was just a little girl, she always had an itch to perform. At 13 years old she signed with a small record label in Louisiana called Goldband Records. At 18 she moved to Nashville to begin a more serious musical career. She started out writing songs for other artists. In 1967, Dolly released her first album where she was not only the songwriter but the singer as well. 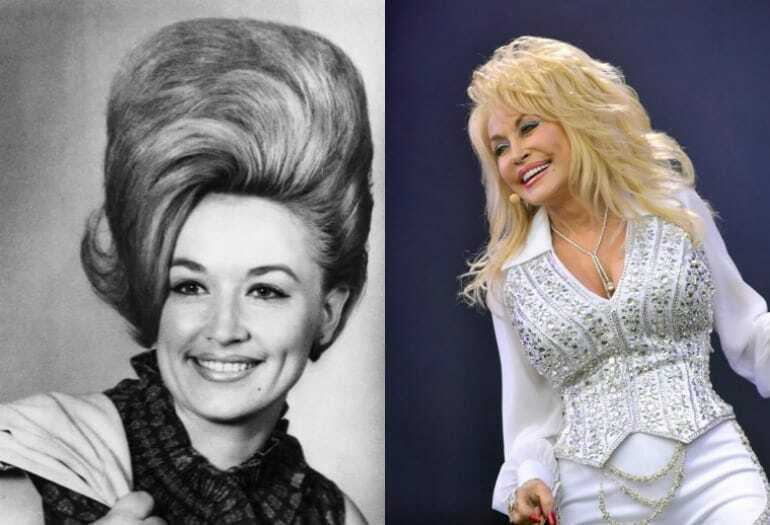 These days, Parton is much more than the iconic singer she became, she is also an actress, businesswoman, record producer, author, and philanthropist. It’s hard to see Willie Nelson in anything but his signature long hair and bandana. However, before Nelson’s current image he was a clean cut and shaven young man. 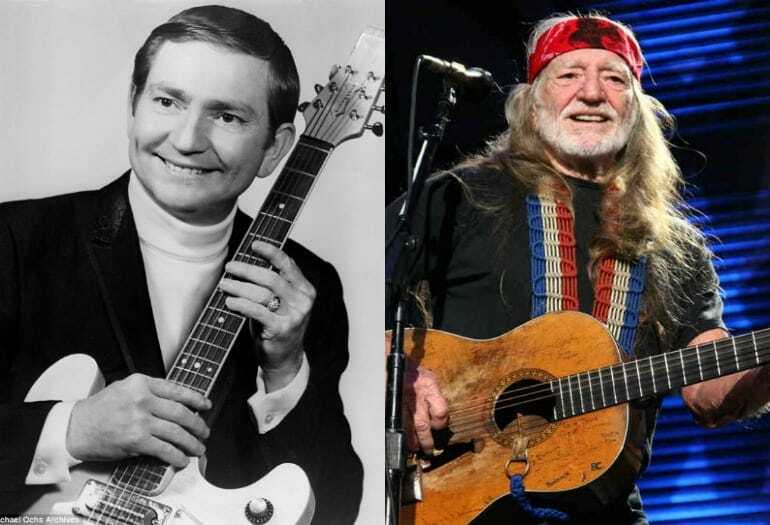 Nelson got started in the country music industry back in 1956 but it wasn’t until his 1973 album, Shotgun Willie, that Nelson shot to fame. He followed up that album with two more very successful ones that won audience adoration and critical acclaim. Nelson has since never stopped playing, engineering the rise of outlaw country music. Willie has also been in several films, written several books and is a renowned activist. Faith is one of the most well-known and beloved country singers around. Since beginning her career in 1993 she has sold over 40 million albums globally. Her hit songs, This Kiss, The Way You Love Me, and Breathe, to name a few, were just a few of the songs that made Faith a household name. Hill has been married to fellow country singer Tim McGraw since 1996 and has three daughters with him. In addition to singing, Faith has dabbled in acting jobs like her role in the 2004 film remake of the film The Stepford Wives. 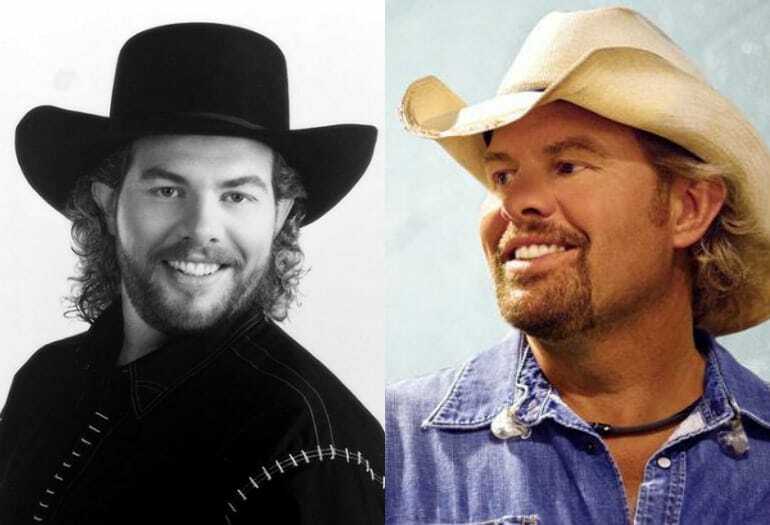 Keith was a relative unknown until his debut album, Toby Keith, came out in 1993. Keith followed up his first album with several more, quickly growing his audience. Over the years, Toby decided to part way with the original record label that signed him and found his own label, Show Dog-Universal Music. His label has signed major artists such as Trace Adkins, Shooter Jennings, Jessie James, and Phil Vassar. On the personal end, Toby has been married to wife Tricia since 1984 and has three children and two grandchildren with her. Keith’s star keeps rising with the years, while he is using his star power in his philanthropic work with public schools to restore and enhance the music education programs offered. 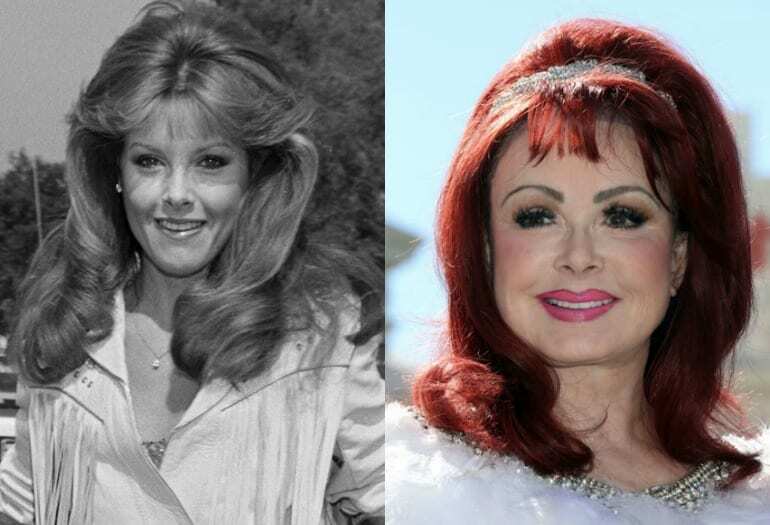 Naomi Judd, mother of country singer Wynonna Judd and actress Ashley Judd, formed a band with daughter Wynonna back in 1983. The band, known as The Judds, was hugely successful and well received in the country music industry. Naomi and her daughter released five albums over the course of 8 years. Their hit songs like Had a Dream, Mama He’s Crazy, and Stuck in Love, topped charts for weeks on end. Naomi and Wynona reunited in 2000 to record a bonus album. Naomi had to retire from music back in 1991 due to a Hepatitis C diagnosis that had her incapacitated for a time. After learning how to manage her condition, Naomi returned to the entertainment sector in a few television show appearances and singing with her daughter Wynonna. 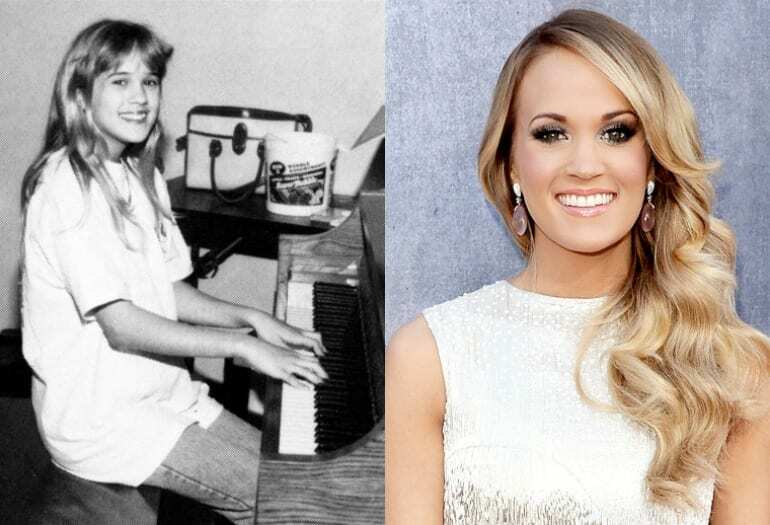 Carrie shot to fame after winning the fourth season of the talent competition show American Idol. Underwood has always had a passion for country music, which she took with her as she developed her own sound after the show. Underwood has released five studio albums who have each gained a massive following. Some of her hit songs, like Before He Cheats, Cowboy Casanova, Blown Away and Jesus Take the Wheel, had shot to the top of the Billboard 200 chart. Underwood tours the country after every new album and dabbles in acting roles as well. She is married to NHL player Mike Fisher and has one son with him. 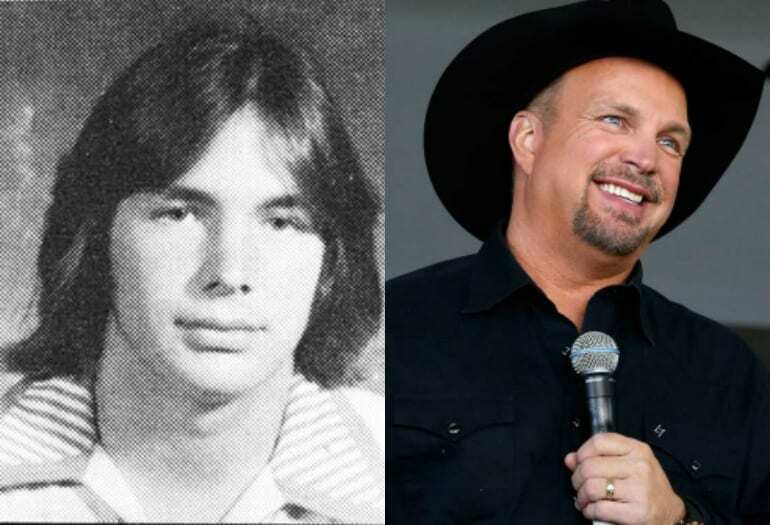 Garth Brooks started off his musical career by singing at local bars and clubs to gain attention. 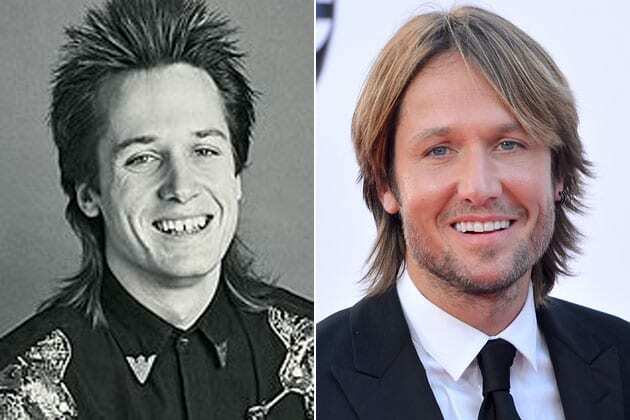 His big break came in 1989 when he moved to Nashville and released his first album. From the very moment, the wide range of audiences heard Brooks he was on the road to instant fame. Today, the Recording Industry Association of America has stated that Brooks is the best-selling solo artist in the United States. He has sold over 135 million albums in the US alone. Brooks surpassed artists like Elvis Presley. On a global scale, Brooks has sold over 160 million albums, making him one of the worlds top-selling artists ever. 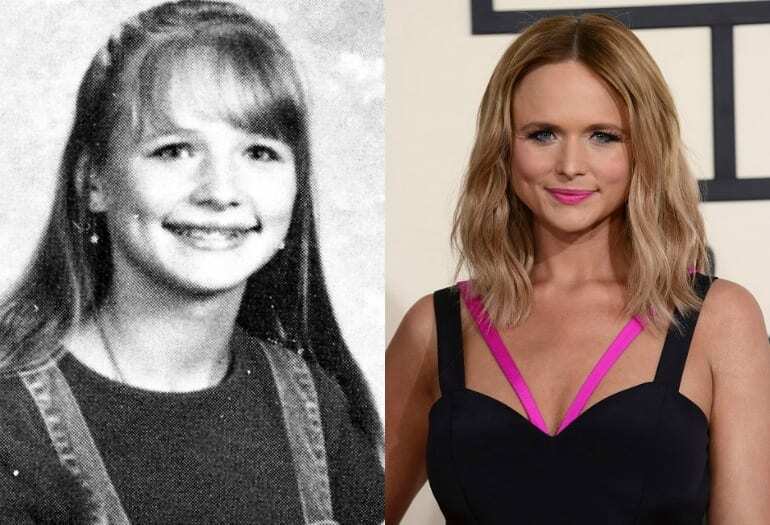 Miranda is both a solo artist and a member of an all-girls country music band, the Pistol Annies. Lambert started getting her name known when she released her first album in 2005. That album, Kerosene, went platinum and sent more than four songs to the top of the charts. She has released a total of six studio albums in her short time in the music industry, gaining more and more traction as she goes along. Miranda was married to fellow country singer Blake Shelton from 2011 until 2015. 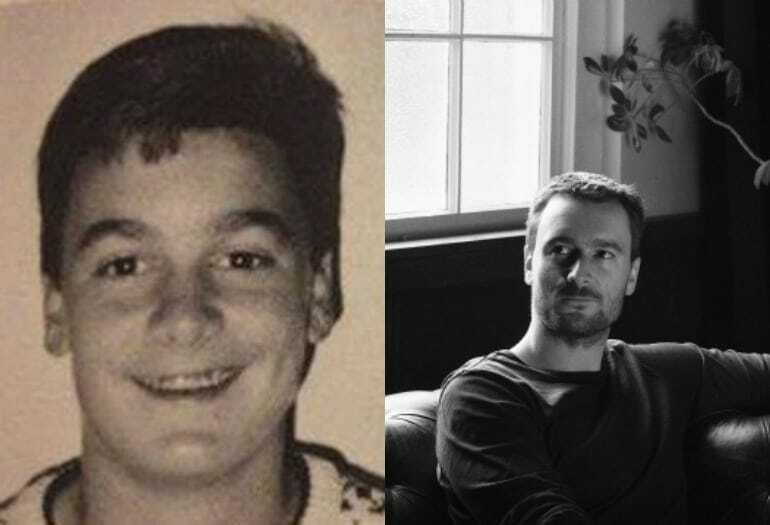 For Eric Church, everything started in 2006 with his debut album, Sinners Like Me. Three songs from his first album went to the top 20 of the Billboard country music chart. He has released five total albums over the years, with over ten songs going to the top of the country music charts. Eric has been married to music publisher Katherine Blasingame since 2008 and have two sons together. Church is very into giving back and formed The Chief Cares Fund along with his wife. The foundation deals in many issues and donates to Humane Society no-kill shelters, clothing and educating children in Nepal, and assisting families in need in North Carolina and Tennessee. 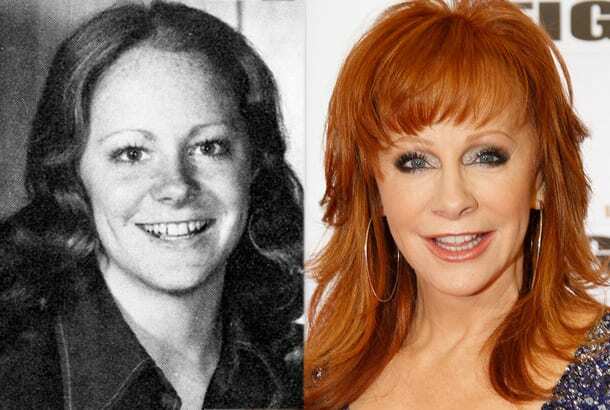 Reba has been a part of the country music scene since 1977 when she debut her first solo album. Reba is truly a legend as she has managed to enter mainstream entertainment in the US as well. McEntire is an actress and record producer in addition to her credits as singer and songwriter. She had her own television show, titled Reba for several years and has been nominated for a Golden Globe for her performance on the show. Reba has been married twice and has one son from her second marriage. It all started in August of 2006 for Hillary, who met her bandmates a few months earlier, as that was the month that she performed with her band, Lady Antebellum, for the first time. Scott and her band mates write the songs for their band and are signed with Capitol Nashville. Scott and her band are very well known and loved in the US, with hit songs like Need You Now, We Owned the Night, and Just a Kiss, making them sensations. Hillary comes from a country music family (her parents are Linda Davis and Lang Scott). Hillary is married to drummer Chris Tyrrell and lives in Tennessee. Trace Adkins is synonymous with country music. Adkins was welcomed onto the music scene in 1995 with his debut album, Dreamin’ Out Loud. 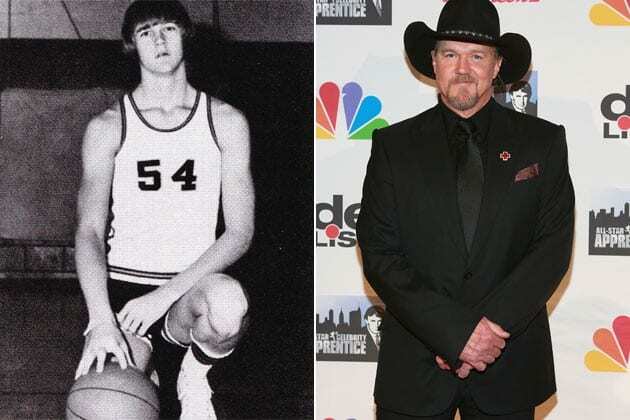 Since his early days, Trace has released ten more albums and two song compilations. His songs, (This Ain’t) No Thinkin’ Thing, You’re Gonna Miss This, and Ladies Love Country Boys, have topped country music charts at the number one spot. Adkins has been married twice, have two daughters with his first wife and three more daughters with second and current wife, Rhonda. 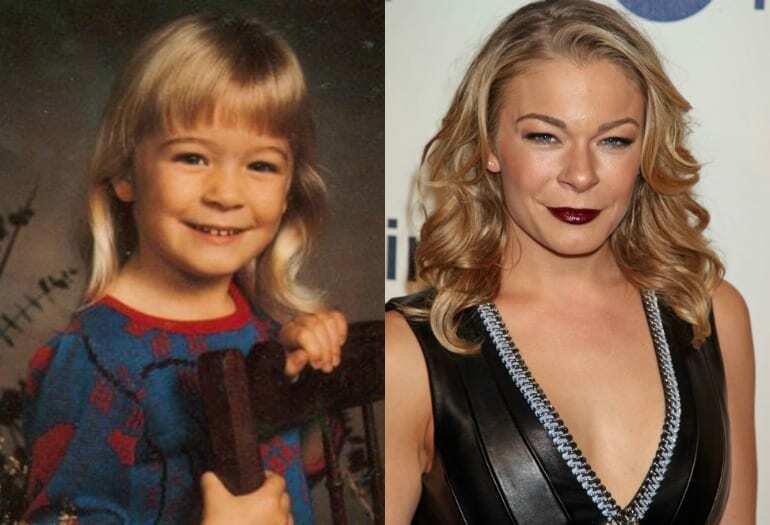 LeAnn got her start in music at a very early age. She was just 13 years old when she shot to fame with the song Blue, followed by Rimes’ debut album of the same name in 1996. The album shot to the number one spot on the Top Country Albums chart. LeAnn kept releasing hit song after hit song within greater albums. She is an award-winning vocalist as well as an author of four books. She has been married to actor Eddie Sibrian since 2011, her second marriage. 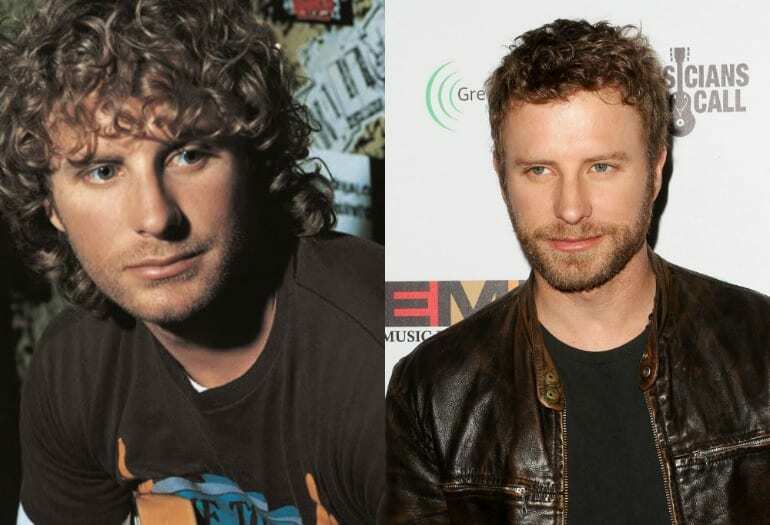 Dierks signed his first record deal in 2003 with Capitol Nashville. Since his singing he has released 8 albums that have contained a long list of hit songs, such as What Was I Thinkin’, Sideways, Feel That Fire, Different for Girls, Say You Do, and I Hold On. Bentley has headlined 12 tours since 2006 and supported several others in the beginning of his career. He is married to wife Cassidy Black and has three children. Taylor Swift was a relative unknown not that long ago, she only shot to musical stardom in 2008. However, she has managed to do a lot in her brief time in music. Swift has won ten Grammy Awards, one Emmy Award, 11 Country Music Association Awards, 23 Billboard Music Awards, and eight Academy of Country Music Awards. She has released six studio albums, has gone on four tours and has also been in several films in recent years. 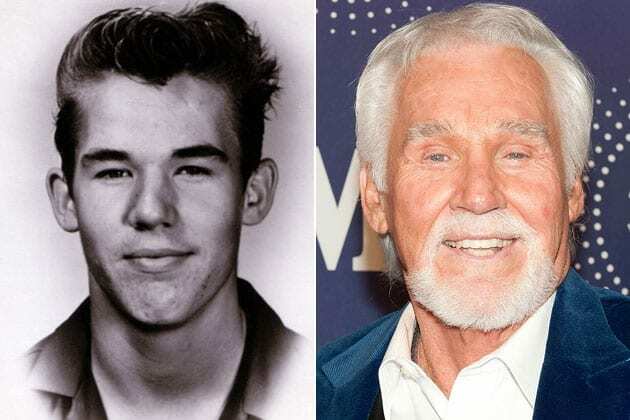 Country Music Hall of Famer Kenny Rogers started off his career back in the 1950s. However, his early days in music were not country but rock music based. In the 1970s Kenny transitioned to a more country tune. Rogers has been a part of many types of musical genres and bands throughout his decades-long career. Rogers’ albums are considered among the most influential country music albums, in addition to Rogers’ himself being voted as ‘Favorite Singer of All-Time’ by People Magazine and USA Today. Kenny is now retired from music and is spending more time with his family. Martina McBride is a critically acclaimed country music star. Prior to being the big name, she is today, Martina was just a relatively unknown young woman who wanted to sing. In 1991 she signed with RCA Records and came out her song The time Has Come. Between 1995 and 2001, five of her songs went to number one on multiple musical charts. Dubbed the ‘Celine Dion of Country Music’, Martina’s voice truly is a wonder. McBride has released 13 studio album, as well as one live album and two compilations. 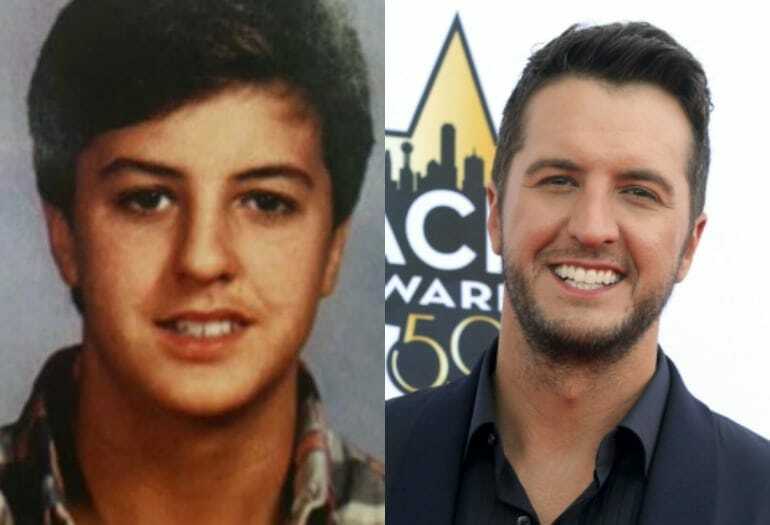 Luke Bryan started out behind the scenes of the music industry, writing songs for other performers. Bryan decided in the mid-2000s that he wanted to give his own music a shot and signed with record company, Capitol Nashville, in 2007. After signing, Luke released his first album, I’ll Stay Me, which contained within it three hit singles. Overall, Bryan has released five albums which have all been received very well by fans and critics and has toured five times between 2013 and 2017. In an incredible turn of events, Luke’s sister and brother-in-law sadly passed away in 2007 leaving behind their son whom Bryan and his wife Caroline took in and are currently raising. 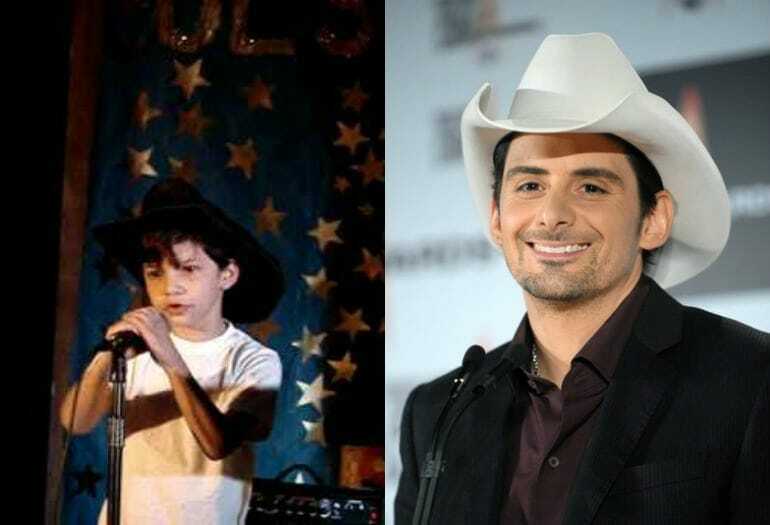 Starting back in 1999 with his first album, Who Needs Pictures, Brad Paisley kept trudging ahead after he got his big break in music. Paisley has landed an incredible 32 songs on the top 10 Billboard Country Airplay chart, 19 songs of those 32 went to number one. Paisley has been recognized many times for his contribution to country music, more specifically he is the winner of three Grammy Awards, 14 Country Music Association Awards, 14 Academy of Country Music Awards and two American Music Awards. He is married to Kimberly Williams, an actress whom he has two sons with. 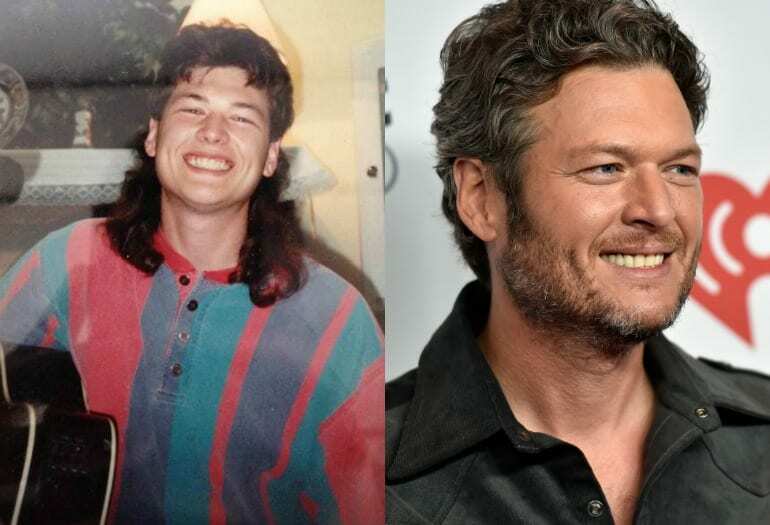 The Voice judge Blake Shelton, started out his country career with a seriously interesting hair do and thick accent. It was back nin 2001 that Blake came out with his first single, Austin. That song went to the tops of charts and was heard by Americans nationally. Shelton continued his winning streak with nine more albums, some of which are holiday albums. He has also headlined seven tours and supported four others. Shelton was married to country singer Miranda Lambert for four years and is now dating singer Gwen Stefani whom he met while judging the musical competition show The voice. Keith Urban is different from the rest of the musicians on this list as he is not American but a native of New Zealand. He started his musical career in Australia in 1991 before moving to the United States the following year. It was in the US that his career really took off. Urban released nine albums and has 37 of his songs reach the US Hot Country Songs list, 18 out of the 37 went to the number one spot. Urban is married to Hollywood actress Nicole Kidman and has two daughters with her. Jason has been signed with Broken Bow Records since 2005 and has released seven albums with them. Aldean’s albums have gone double and quadruple-platinum. He has had 18 songs go to the number one spot on the Hot Country Songs and Country Airplay charts. 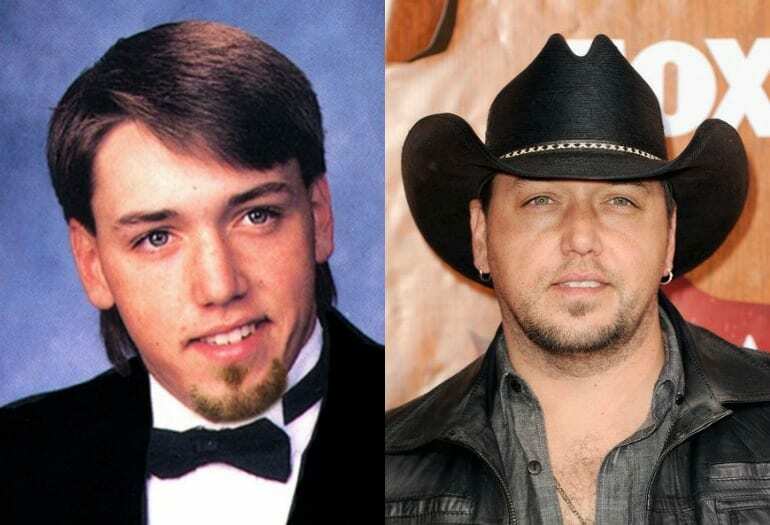 Aldean was married to his high school sweetheart, Jessica Ussery, from 2001 until 2016 when the two divorced due to Aldean’s infidelity. The couple has two children together. 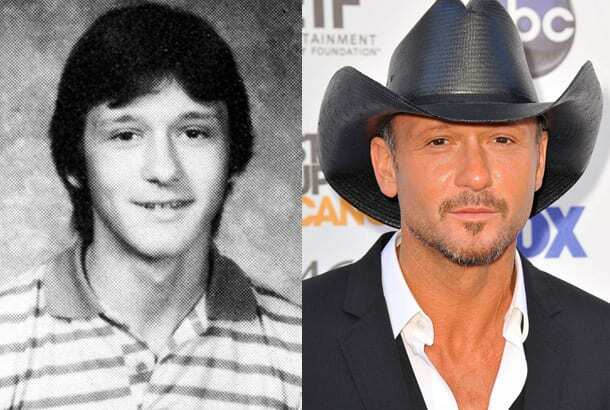 Tim McGraw has managed to cross over from musician to actor in recent years. However, before his incredible success these days he was just a small town Louisiana boy. He got his start in music in 1997 with the release of his album, Everywhere. Some of his most well-known singles are Live Like You Were Dying, It’s Your Love, and Just to See You Smile. McGraw is married to country singer Faith Hill and has three daughters with her. 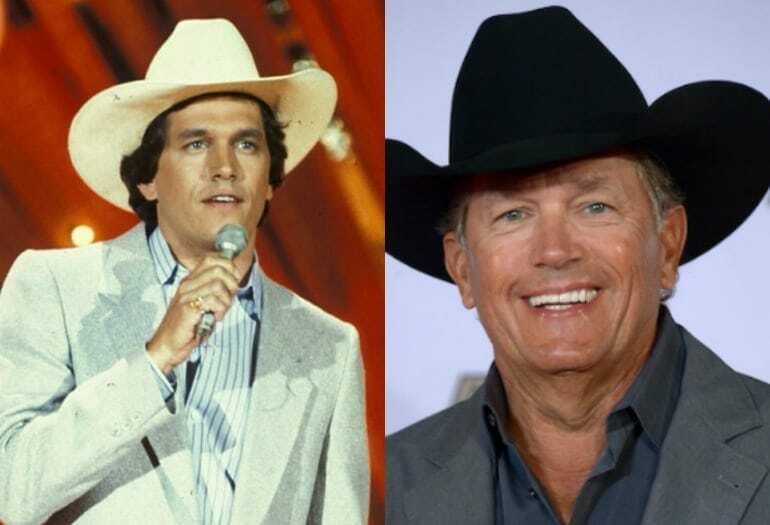 There’s a reason George Strait got the nickname The King of Country. Strait is one of the most popular country singers in the history of the genre. He dresses like a cowboy at any given time and takes the country lifestyle into his singing with every new song. He is signed with MCA Nashville and has sold more than 68 million albums nationally. His long list of released albums has gone multi-platinum, platinum, and gold. Jennifer is the lead singer of the two-person band Sugarland. Nettles has been in country music since 1996 when she and her college friend recorded two albums as the band Soul Miner’s Daughter. In 1999 she formed her second band, the Jennifer Nettles Band and released five albums with them (three studio and two live). It wasn’t until 2003 that Jennifer put together her duo, Sugarland. She is now more focused than ever on her music and her activism. 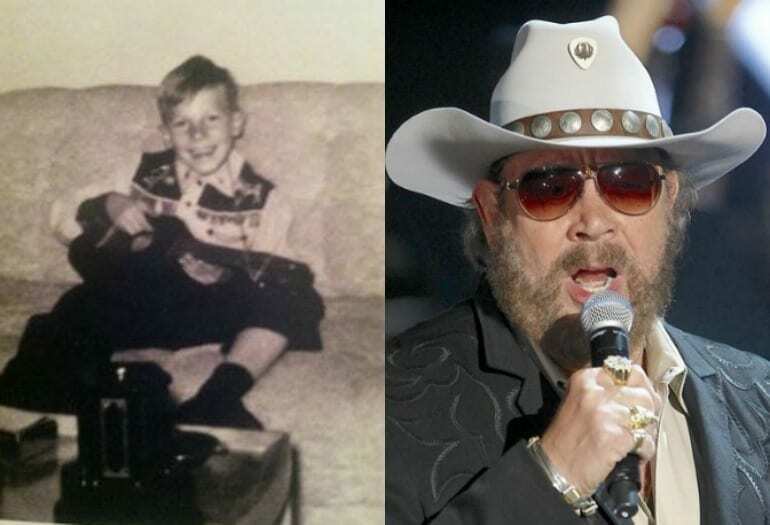 Hank was born into a country music legend’s family. His father, Hank Williams was an icon in country music. Hank Jr. was no disappointed either. Hank Jr. is a singer and songwriter with 39 albums (!) under his belt beginning from 1964 and all the way until 2016. We are sure Hank Jr. is not going to slow down anytime soon either. Hank is a father to five children, two of which are musicians themselves. Another American Idol alum to the list! Kellie Pickler was on the fifth season of the show and left the show in the sixth place. It was after the show, in 2006, that Kellie was signed by BNA Records and released her debut album, Small Town Girl. Pickler’s style both in terms of features and in terms of musical style was very similar to Carrie Underwood’s, hinting that Carrie opened the door for more country singers to come to mainstream musical shows. Pickler has since released three more albums and toured with other country music sensations such as Rascal Flatts, Taylor Swift, and Brad Paisley. 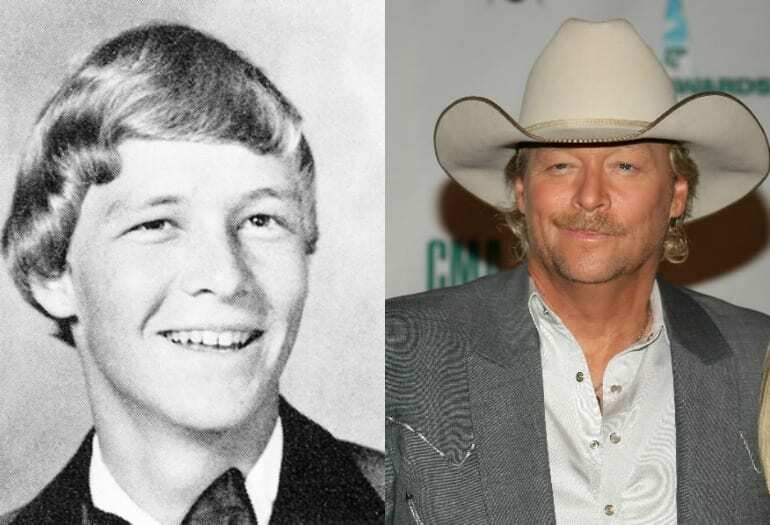 Alan Jackson has been around for quite some time. The country singer and songwriter has 16 studio albums under his belt, in addition to hits compilations and holiday albums. He has sold more than 80 million albums globally and had 66 of his songs on the Billboard Hot Country Singles & Tracks chart. In 2014 he was part of an exhibit at the Country Music Hall of Fame, honoring his 25-year career in country music. Shania Twain, one of the most feminist and empowering female country singers to date, started out her days in the music industry back in 1993 when she released her first album. Shania was singed with Mercury Nashville Records at the time and with them, she released all of her four albums with them. She is currently working on a new album after taking a few years off due to weakening vocal chords that turned out to be lesions on her vocal chords. After treatment, Shania went back on tour in the United States. 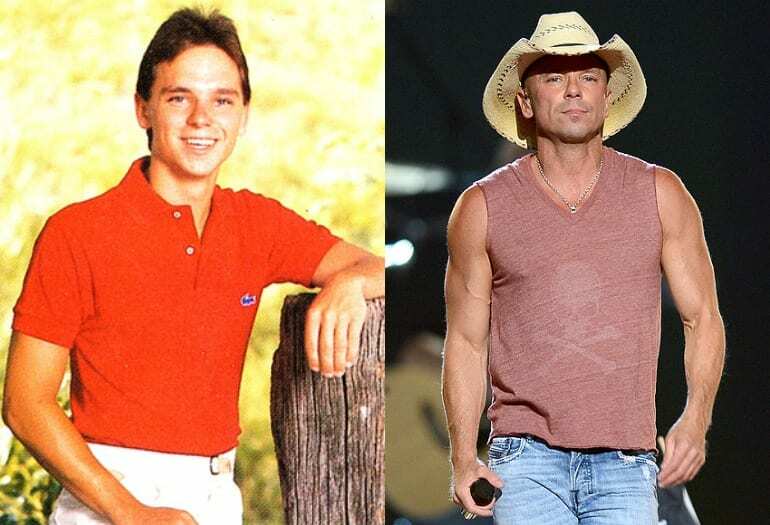 It was back in 1994 that singer Kenny Chesney released his first album, In My Wildest Dreams. Chesney went on to release 16 studio albums, three hits compilations, one holiday and one live album. He was honored four different times as Entertainer of the Year by the Country Music Association. Kenny’s list of awards is beyond mentioning, having won awards for every single album he’s released. Chesney was in the media spotlight a few years back when he was briefly married to actress Renée Zellweger.